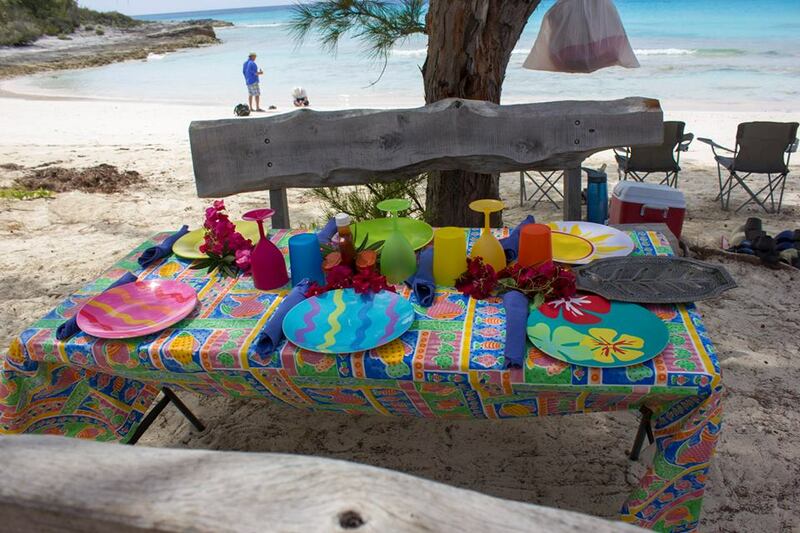 Fresh delicious Eleuthera Cuisine is served with every tour. Taste the real big flavor of the Caribean with your tour. We also have options for children. Conch is a mollusk native to the Bahamas. We beat it tender and steam it on the stove with celery, onions and potatoes. Served in its own juices in a foil packet, it is seasoned with salt, pepper, and Old Bay. The fresh catch of the day (usually snapper or grouper) is sealed in a foil packet with a bed of cabbage and onions. It is seasoned with butter, lime juice, a splash of white wine, and salt and pepper. Leg quarters are cooked and shredded and served in a foil packet with homemade sweet and lightly spicey barbecue sauce. Seasonal, available vegetables grilled in a foil packet with butter and seasoned with herbs.